Three actors have been added to next season's 'Homeland,' but who are they and what will they bring to the series? 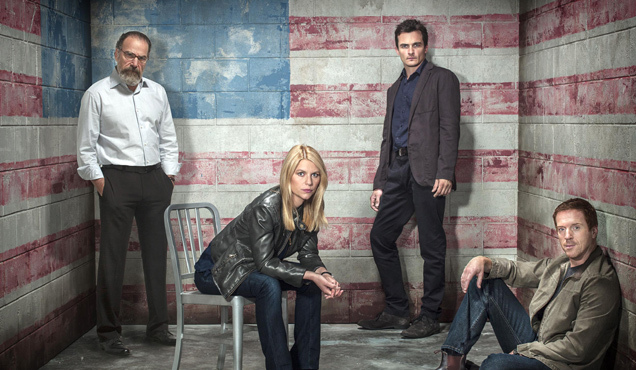 The fourth season of 'Homeland' is ready to begin operations. The Showtime CIA thriller ended its third season back in December, and while details for the next one were kept under wraps, some plot info has been revealed. According to Entertainment Weekly, season number four will center on Carrie Mathison’s (Claire Danes) job located in the Middle East as chief of station. The summary is interesting enough considering nobody quite knew where Mathison & Co. could be headed following last season’s finale, but things are looking optimistic as a number of actors have been confirmed to return such as Mandy Patinkin, Rupert Friend, and Nazanin Boniadi. So Which Idiot Deemed 'Life Of Pi' Unfilmable? Ang Lee's Life of Pi is expected to make a strong debut at the box office this weekend, with cinemagoers anxious to see what the Taiwanese filmmaker has done with a story once deemed "unfilmable". The film is based on Yann Martel's 2001 novel that has sold more than seven million copies worldwide and spent years on the bestseller list. It follows the story of a young Indian boy who is trusted with moving his family's zoo to Canada, though when the ship sinks, he finds himself on a lifeboat with a fully grown Bengal tiger. Yikes. Though it seems like a pretty straight narrative, Martel's novel is awash with religious connotations, existentialism and a twist ending. Getting the story to the big screen has been a long and arduous process, with M Night Shyamalan, Alfonso Curaron and Jean-Pierre Jeunet all signing on as directors before bailing on the project. Each prospective director ran into their own difficulties and found problems getting Life of Pi into a coherent Hollywood movie. One challenge was casting: which actor could take up the role of young Pi without taking away from the unique story? Ang Lee decided to eschew the regular Hollywood casting process and went with the completely unknown Suraj Sharma. According to E! 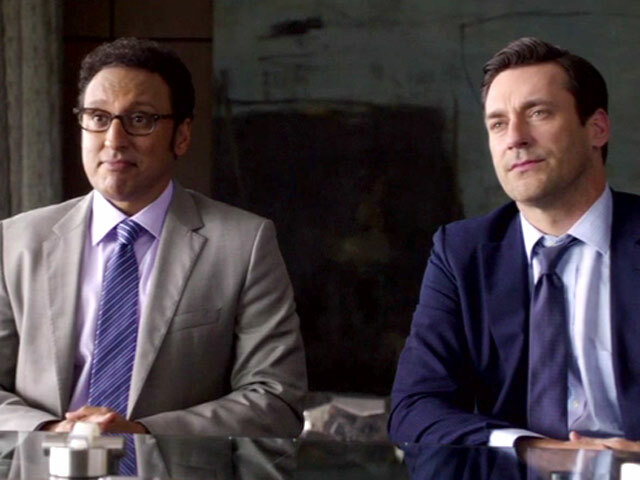 Online, Tobey Maguire shot several scenes as the writer who interviews the adult Pi Patel, though Lee decided against having the former Spiderman star in the movie. Another challenge that faced Lee was the Bengal tiger, which features prominently in the movie. Other passengers on the ship include a zebra, hyena and an orang-utan and the filmmaker decided to make CGI creations. Sharma told the New York Daily News, "The first thing I learned was how to act opposite no one. I didn't think I could do it, but Ang gets what he wants. So it was new for me - but it was doable". Continue reading: So Which Idiot Deemed 'Life Of Pi' Unfilmable? Life of Pi is one of the hottest films out at the moment, and such are the glowing reviews from the critics, it's even being talked up as a possible Oscar contender, taking on the strong favourite, Lincoln, directed by Steven Spielberg. Ang Lee caught up with USA Today to talk about the huge task of filming the 'unfilmable' book. They say 'unfilmable,' but with today's technology, nothing can really labelled as such, although that's not to say bringing such a popular book to life wasn't a monolithic task. "Sometimes we go through things in life that are equivalent to that journey," Lee says, envying Suraj Sharma's character. 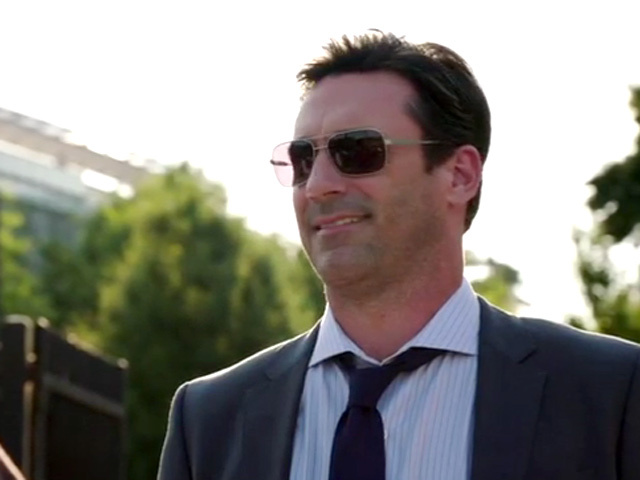 "You wish the test could be as simple as drifting across the ocean with a Bengal tiger. Sometimes things feel harder. 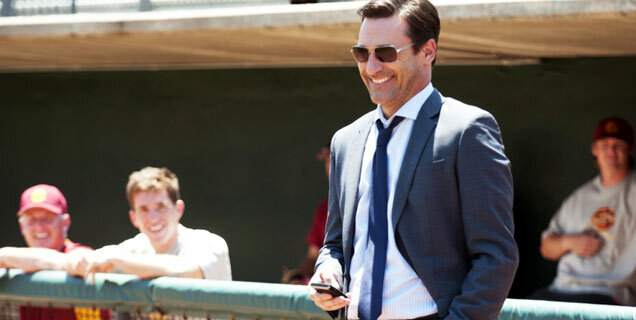 Such as making this movie." One of the most prominent aspects of the film noted by the critics in their near unanimous praise, is the excellent work in making the Bengal tiger so life like. "It's still handcraft. There's no button to push. There's not a program to make an animal look real," Lee explained. "Every frame is a labor of love. Some shots took three months, some six months." It seems as though Life of Pi was destined to be a success, given the amount of strife that went into making it. The film's fledgling star only came to the audition because his brother promised a free lunch, and he nearly faced expulsion from his university while on promoting duties; a fate he avoided by handing in eight essays at once. Life of Pi hit cinemas on Nov. 21st, and comes to the U.K in just under a months time, on Dec. 20th. 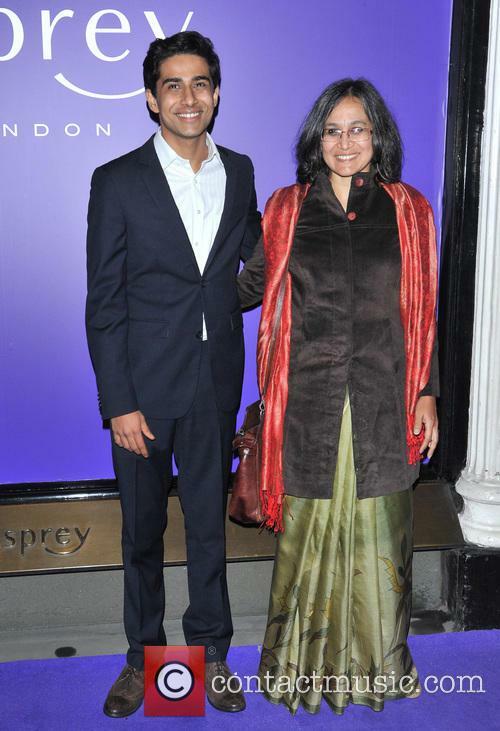 Life Of Pi Star Narrowly Avoids Expulsion From School! Ang Lee's Life of Pi is enjoying a tremendous time with the critics, as they build a strong case for the film as an Oscar contender, but the film's star, Suraj Sharma has things other than Hollywood fame to worry about; he's only just managing to stay in school! At 19, Sharma is still deciding on his life's focus; whether he continues to act or carry on down the academic route, but that decision was nearly made for him, with his failure to attend lectures at his Delhi university nearly landing him in hot water with the school's principle. Mr Sharma met with the top man six times in three days to bolster his case, and handed in eight essays in bulk to save his skin. "I expect him to take his life as a student seriously," the principle explained, according to The Telegraph. "It's in no one's interest to hold people back and [also] in no one's interest to make a mockery of the system. All of us have to be responsible for whatever commitments we have undertaken. Work is the medium of growth and empowerment. Anyone interested in the well-being and long-term happiness of a young person will not dilute the requirements of work at St Stephen's there is a great emphasis on character formation," he said. One of these essays, he said, was an account of how hard he had worked to shape the character of Pi. "He had not cleared the requirement until 10 minutes ago. He submitted eight essays and I'm delighted. I've accepted them altogether, which is not usual," added the principle. 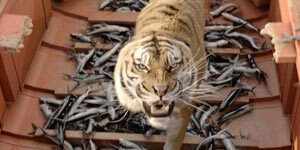 Is Ang Lee's 'Life Of Pi' The New 'Slumdog Millionaire'? Ang Lee makes his latest assault on awards' season this week, when Life Of Pi hits theaters in the U.S. The magical 3-D tale is tipped for nominations at both the Golden Globes and the Oscars, though getting the public on-side and recording a large box-office opening would ultimately help its cause. The movie - based on Yann Martel's thrilling novel of the same name - follows a young boy named Pi who sails from India to Canada with a cargo of zoo animals. When the ship sinks, he finds himself alone on a life-raft with only a Bengal tiger for company. Comparisons are already being made with Danny Boyle's Slumdog Millionaire, the multi-Academy Award winning 2008 movie that explored similar themes. Both films have young Indian lead characters who undergo intense inner journeys, as well as the literal adventures playing out on-screen. Both actors - Dev Patel in Slumdog and Suraj Sharma in Pi - were making their feature film debuts, though the former had some experience of television, whereas Sharma had next to no acting on his CV. Both films are visually stunning, with Danny Boyle's classic knocking the Academy for six with its rich colours and depiction of the hustle and bustle of Mumbai life. 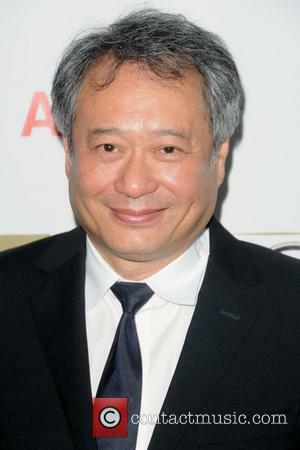 Ang Lee ultimately went down the 3-D route and anyone who has witnessed the preview trailer screening this year were utterly convinced he had made the correct decision. The vast seascape lends itself well to the new format and Lee has plenty of experience in making movies with aesthetics in mind. In terms of narratives, both movies are told through flashbacks with the tales eventually having religious connotations or messages. Slumdog Millionaire was a true sleeper hit; a movie that appeared to come from nowhere before generating rapid pace as it hurtled towards awards' season. The Artist did something similar this year, as did The Hurt Locker in 2008. However, if Life of Pi is to challenge for Best Picture in February it will not be on the back of word of mouth - moviegoers will know how they feel about the movie pretty soon, with three months still to go before the Oscars. It sits at around fifth favorite with the bookmakers to win the biggest movie prize of them all, but Ben Affleck's Argo (the sleeper) and Steven Spielberg's Lincoln (the blockbuster) appear to have the bases covered. Continue reading: Is Ang Lee's 'Life Of Pi' The New 'Slumdog Millionaire'? Pi Patel is the son of an Indian zookeeper who gets caught up in a destructive storm at sea on board a freighter. He is the only human survivor as the vessel sinks easily into the Pacific Ocean managing to escape on a lifeboat with a spotted hyena, an injured zebra, an orang-utan and a Bengal tiger. The animals begin eating each other and Pi soon finds himself in the company of only the tiger which soon becomes his friend and companion as he takes a firm approach into taming the creature.